Below is a list of frequently asked questions, and the answers from our office. If your question is not included below, feel free to contact us. Why support Grace Hospital Foundation? 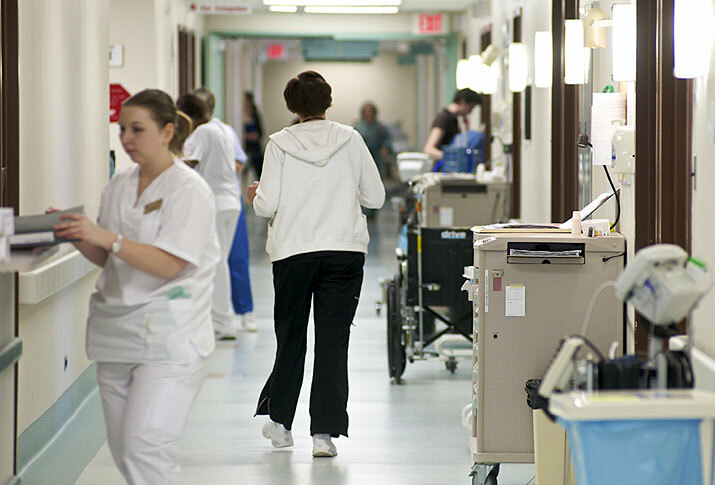 Your donation funds vital patient care initiatives at Grace Hospital. All proceeds to Grace Hospital Foundation help assure that patients at the Grace have access to the very best medical care possible. The Grace Hospital Foundation is a registered charity and is authorized by the Canada Revenue Agency to issue official receipts for income tax purposes. Please give us a call at 204 837-0375 for more information. Do I donate directly to Grace Hospital? No. Grace Hospital Foundation is the registered charity that accepts donations solely for Grace Hospital and Grace Hospice. Can I direct my gift to a specific area of the hospital? You can direct your gift to a specific department, project or ongoing campaign. Which credit cards do the Foundation accept? I’d like to make a donation by cheque. Who do I make it payable to? Do you have an online donation form? Can I call in my donation? You can call us at 204-837-0375. Our office is open Monday to Friday, 8:30 am to 4:30 pm. How do I make a memorial donation? Donations can be made by calling us at 204-837-0375, using our online donation form or by mailing a cheque payable to Grace Hospital Foundation. A letter will be sent to the family to notify them of your donation. Please include the recipient’s name and address. How do I make a tribute gift? The same process applies as if you were making a memorial donation. Please ensure that you provide the Foundation with the recipient’s name and address. A letter will be sent to them notifying them of your gift in their honour. Will Grace Hospital Foundation send out letters in honour or in memory of an individual on my behalf? Yes. When you make a gift to the Foundation, whether it be in honour of an individual or in memory of a loved one, please include the name, address and reason for honouring the person. We will send a card to that person or family advising them of the gift you have made. The amount of the donation will remain confidential. What type of reasons or occasions can I choose to honour someone? Honouring someone can be very special. You can honour them for their birthday, anniversary, wedding, new baby, graduation, or as a simple thank you. Perhaps you would like to thank a physician or nurse who cared for you. The list is endless and the choice is up to you. Can I arrange to make a donation every month? Monthly giving can be set up through our online donation form or by contacting the Foundation office at 837-0375. I am interested in making a gift of securities and/or a planned gift. How do I go about getting information on how to do this? The first step is to talk to your financial/legal advisor to determine the best approach for your personal situation. Next, contact the Grace Hospital Foundation office to let us know your intentions so we can begin the process. Do you have volunteer opportunities at Grace Hospital Foundation? The Foundation uses volunteers for our special events. There are also many volunteer opportunities at the Grace in various departments. If you wish to volunteer at the Grace, you can find more information at www.gracehospital.ca or apply online here. Can I make a gift to Grace Hospital Foundation in my will? We suggest you contact your legal advisor or you may contact us and we would be pleased to discuss this further. Grace Hospital Foundation would not presume to offer financial advice. We recommend that you seek professional legal, estate planning or financial advice to assist you to establish a planned gift that will meet your philanthropic interests. What is Grace Hospital Foundation’s charitable registration number? Our charitable registration number is 12213 6831 RR0001. Where is Grace Hospital Foundation’s office located in the hospital and what are the hours of operation? The Foundation office is located in the main lobby of Grace Hospital. We are open Monday to Friday, 8:30 am to 4:30 pm. How does Grace Hospital Foundation raise funds over the course of the year? We raise funds through special events such as our gala dinner and golf tournament. We also appeal to the community through our Tree of Life and Seeds of Hope direct mail campaigns. Many donors also choose to give throughout the year. Please see our donate and events pages for more information. You can contact our Communications & Special Events Manager at 204-837-0480. How can I get my name taken off the Foundation’s mailing list? Call us at 204-837-0375 and we will remove your name from our mailing list.